For clonal expansion of cells, the Puncher system as well as the Pump-unit are placed inside a laminar flowhood to ensure sterility. The flow hood is designed according the requirements of the Puncher system. Computer screen is mounted in the back of the flow hood to facilitate cleaning and keep an undisturbed flow. Keyboard and mouse have a silicon flat surface to enable easy cleaning with all hospital grade disinfectants. It contains high end scanning stages to quickly position the chip, wells plate and punch needle. The system has six stages which are all automatically controlled. Furthermore the system has autofocus and an automatic filter cube changer. Slides with the microwell chip, Punch needles and tissue culture plates are easily docked on the system. 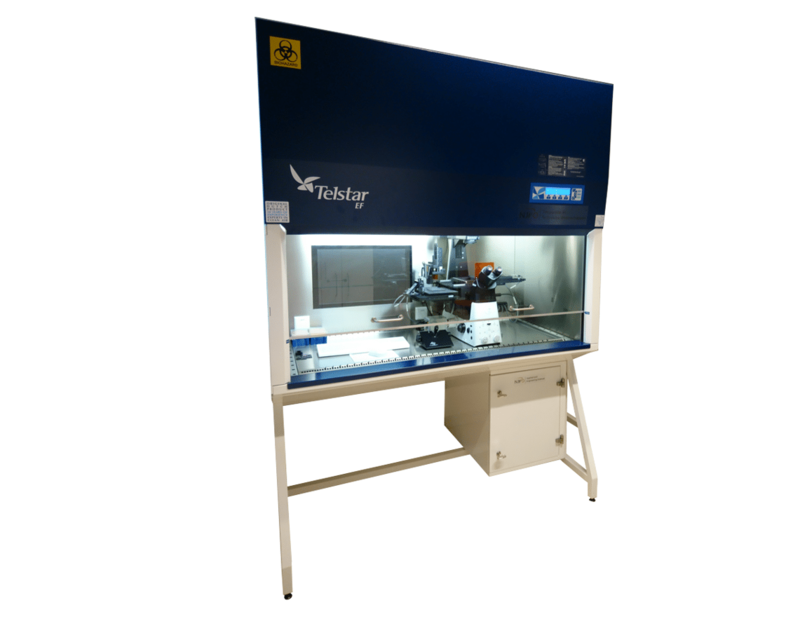 All parts are positioned with an optical calibration unit which takes only one minute. The system uses a Lumencor LED excitation light source and Hamamatsu CMOS scientific camera. 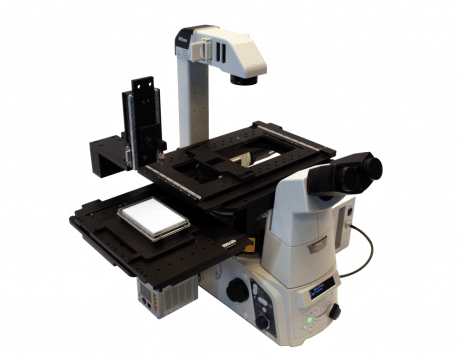 This enables the user to acquire high quality fluorescence images of the single viable cells with a 10x, 20x or 40x objective. After imaging the cells of interest they are presented in a gallery that is automatically generated. Viable cells can be punched out for mono clonal cell expansion.